Here at Action Garage Door we know owners of commercial and residential buildings need to have a garage door opener they can rely on to faithfully open their garage doors for many years. While some companies feel comfortable selling cheap and unreliable garage door openers to their clients, we are determined to sell only the highest-quality brands. We are proud to offer both our residential and commercial customers the option of purchasing a powerful and durable LiftMaster garage door opener. To help you figure out which model you need, we will ask you some simple questions about your garage door usage. Depending on how much traffic your garage receives, you may need a standard opener or a heavy-duty opener which is capable of meeting your high-traffic needs. In addition to the LiftMaster garage door openers, we also sell, Chamberlain garage door opener, Genie garage door opener, and Stanley garage door openers. We are also available to repair or replace any of the parts necessary to keep your garage door functioning smoothly. We have extensive knowledge and experience installing and maintaining garage doors and we offer quality, quick service for any brand name of garage door you may have. No garage door is too big or too small for our capable technicians, which is why we regularly service standard garage doors in residential areas as well as heavy-duty garage doors in commercial buildings. 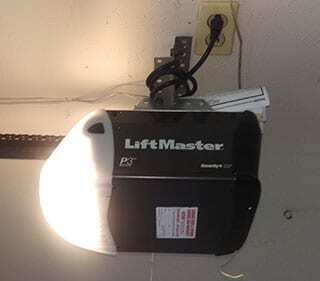 No matter how seldom or how often your garage door is used, we have a LiftMaster garage door opener that will be the perfect fit for your needs. If you want to learn more about the garage door openers we offer, contact Action Garage Door today at and we will be happy to answer all of your questions and help you choose a reliable garage door opener for your home or business.